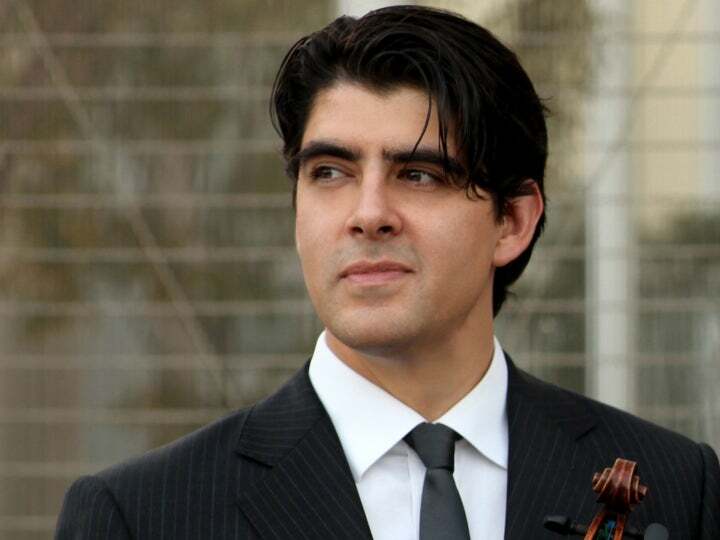 Violinist Bryan Hernandez-Luch, of Peruvian descent, has been described by The Deseret News as “strikingly imaginative … he is an artist to be reckoned with.” Hernandez-Luch began his violin studies at age 6, and at 15 he made his solo debut with the Utah Symphony Orchestra. As a soloist, Hernandez-Luch has performed with the symphony orchestras of Detroit, Cleveland, Atlanta, New Jersey, Nashville, Utah, Chautauqua, New World, Colorado, Princeton, Grand Rapids and Battle Creek; Prince George Philharmonic and Canada’s National Arts Center Orchestra. He has worked with such conductors as Franz Welser-Möst, Robert Spano, Keith Lockhart, Rossen Milanov, Arthur Fagan and Thomas Wilkins. As an avid chamber musician, Hernandez-Luch has toured extensively across Columbia, the United States, Russia, Japan, Korea and South Africa. He was a founding member of the Catalyst Quartet, whose performances have been featured in Carnegie Hall’s Stern Auditorium, Weill Hall and major concert halls worldwide. The New York Times called a Catalyst Quartet performance “invariably energetic and finely burnished.” The quartet held residencies at the University of South Africa, Grand Canyon Music Festival, Great Lakes Chamber Music Festival, Juilliard Quartet Seminar, Sphinx Performance Academy at Northwestern University, Oberlin Conservatory, Roosevelt University and The Walnut Hill School. Hernandez-Luch had the distinct privilege of performing with the Guarneri Quartet in Mendelssohn’s String Octet and a performance of Tchaikovsky’s Souvenir de Florence at Carnegie Hall. A frequent collaborator with the Orpheus Chamber Orchestra, Hernandez-Luch is currently performing in the Tony Award-winning Broadway revival of My Fair Lady. He has played recently in Miss Saigon and Fiddler on the Roof and was the music director/conductor and on-stage musician for The Cherry Orchard starring Diane Lane. Hernandez-Luch has been a member of the Radio City Music Hall Orchestra and performed regularly in the Broadway productions of The Phantom of the Opera, Les Misérables, The King and I, Something Rotten!, Cinderella and On the Town. 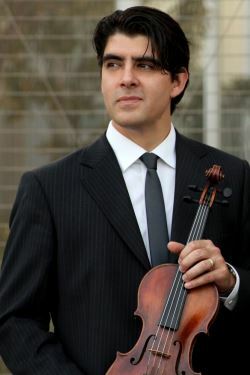 Hernandez-Luch earned a master’s degree from The Juilliard School and a B.M. from the University of Utah. His major teachers have included Joseph Lin, Igor Gruppman and Nell Gotkovsky. Hernandez-Luch loves living in New York City with his wife, concert pianist Desirae Brown, and their two children, Poppy and Rowan.